Heroes and villains will clash, and new characters will enter the fray. Since its announcement, fans have been eagerly awaiting news for what the character roster for Injustice 2 would be like. 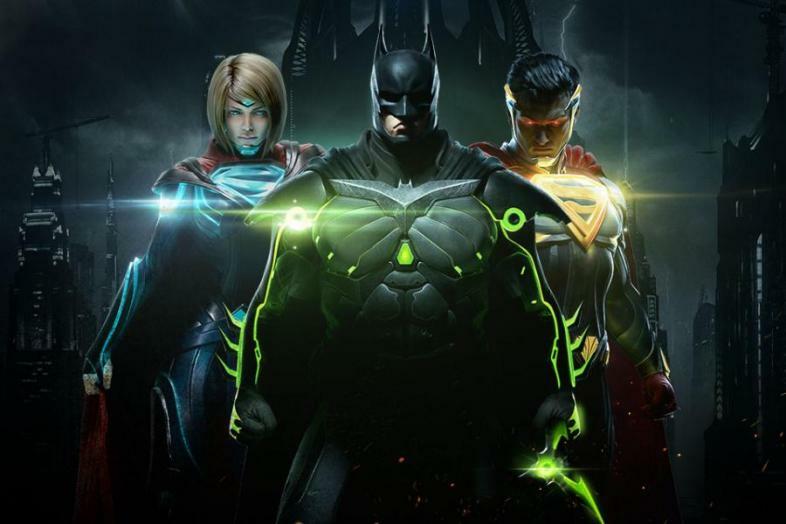 Even after the game came out, rumors persisted of what DLC characters would be added, and what special guest characters from outside the DC Universe would be included. Here’s some information on what kind of content we’ve seen in game, and what some of the more reputable rumors about future characters are. Harley Quinn, returning for the Injustice sequel. She’s noticeably sporting a more Suicide Squad related look. Whether or not the Suicide Squad will be related to the game’s story mode remains to be seen. The game will obviously feature the return of a number of characters who were present in the first Injustice. Franchise favorites like Superman, Batman, Wonder Woman, Green Lantern, the Flash, Aquaman, and Cyborg, as well as others. What DC game would be complete without a suitable stable of villains to add a touch of maliciousness to the roster? Injustice 2 will see such former playable villains as Harley Quinn, the Joker, Bane, Black Adam, and Catwoman. Scarecrow was a surprising inclusion, considering the character is rarely depicted as physically threatening. Scarecrow will be voiced by Robert Englund, better known as the original Freddy Krueger. The base game will feature a number of characters that were unavailable in its predecessor. It will also bring to life many iconic locations in the DC Universe that were not used previously, such as Gorilla City and Apokolips. Among the many new heroes selected for the game are Doctor Fate, Blue Beetle, Black Canary, Firestorm, and Swamp Thing. It will also feature Supergirl, who will be a major player in the game’s story mode. The game will also feature a number of added villains, including Scarecrow, Poison Ivy, Cheetah, Atrocitus, Brainiac, Deadshot, Gorilla Grodd, and Captain Cold. Darkseid, the literal embodiment of universal evil within the DC Universe, will also be available to play for preorder, and eventually as a DLC character. The DLCs for Injustice 2 will bring many fan favorite characters who were absent from the first game. From left to right, Sub-Zero, Starfire, and the Red Hood. On top of the expanded roster, the game will feature a large number of DLC characters that players can use outside of the singe player story mode. While it has been mostly rumors for now, Teen Titans star Starfire and the widely popular Red Hood, a previous Robin, have been confirmed. There are many other rumors circulating, and no current sign as to what the developer’s long term DLC plan might be. There have also been many rumors circulating about two guest characters that may end up being available in an additional DLC. One of these was a fan favorite from the Mortal Kombat series, Sub Zero, who appeared in the crossover game Mortal Kombat vs the DC Universe. Another rumored guest star is Image Comics’ Spawn, a demonically powered superhero who has appeared in a number of crossover comic books with DC characters in the past. Injustice 2’s roster is enough to make any DC fan happy, and if the rumors are true there’s only more good things to come.